One of my FAVORITE things in the kitchen are our new concrete countertops! When I was planning the kitchen I wanted a countertop that was substantial – we priced out a few options and I quickly realized how far thick granite (or thick anything!) was from the budget. After looking for other options, I was surprised to see so many pretty kitchens had used concrete as their countertops, here’s my favorite, they did them in white and I love how this bar version looks over the wood. 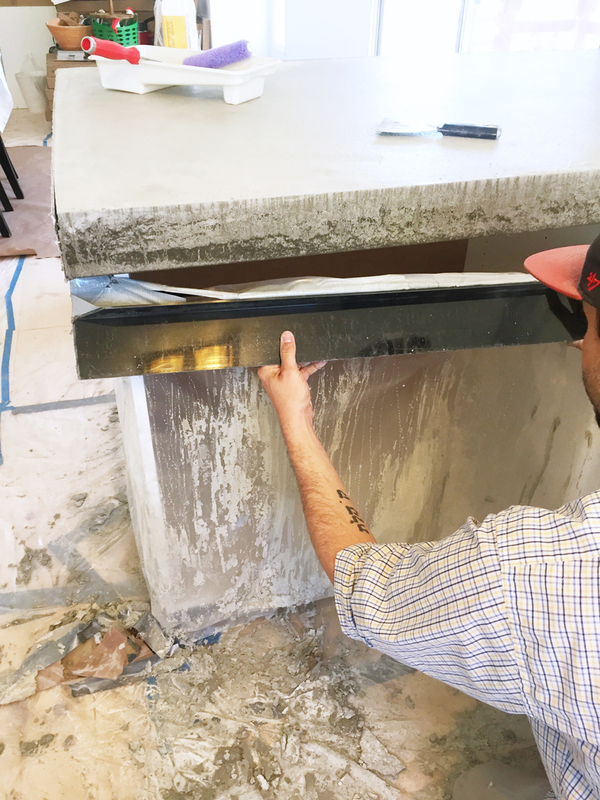 It quickly became the only possible solution in my mind, so we partnered with Counterform Concrete Solutions for our concrete countertop forms and used their Z Liqui-Crete System to create ours. We ended up with a 4 inch thick beauty that centers our entire kitchen design. 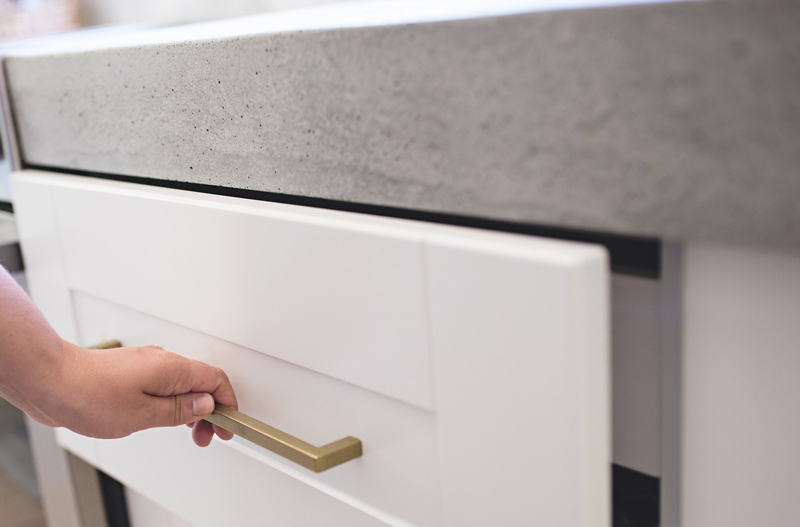 What follows is everything we learned along the way and all my tips for creating your own amazing concrete countertops at home. 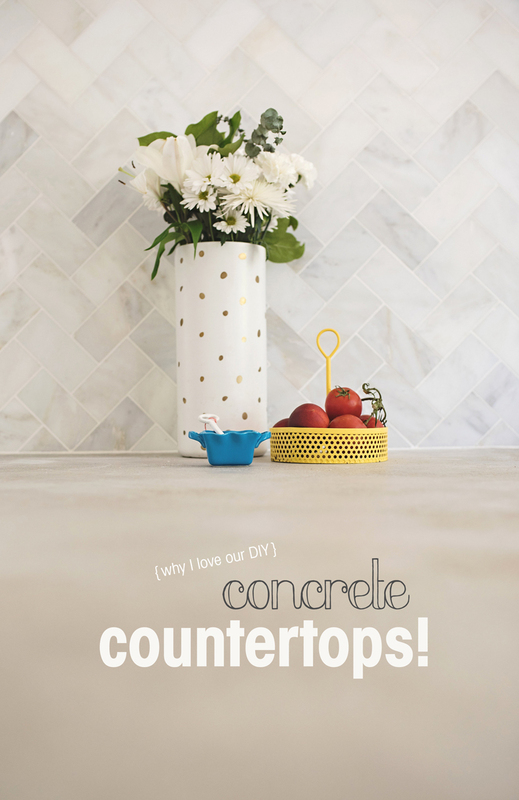 I’m not going to lie making our DIY concrete countertops, was A PROJECT! Possibly the biggest project we’ve taken on so far in the home renovation process. It took a substantial amount of time and effort, but when I think of the concrete countertops cost quotes to get something similar done – I’m happy we were able to go at it ourselves (and by ourselves, I of course mean Matt, because this was basically all him). You can make the same look at home for a grand total of about $1200. Compared to quotes we received from $8,000-$12,000 we saved so much money! The Concrete Countertops cost included the concrete countertop forms and supplies we had sent as a part of a kit which retail at about $800. Then we had to buy the concrete board and wood to place the frames on. Then the concrete cost us about $140. Plus we bought pizza & beer for the guys who helped us. A necessary cost. The only concrete countertop cost we have now is the upkeep, which includes a $40 bottle of concrete countertop sealer twice a year. 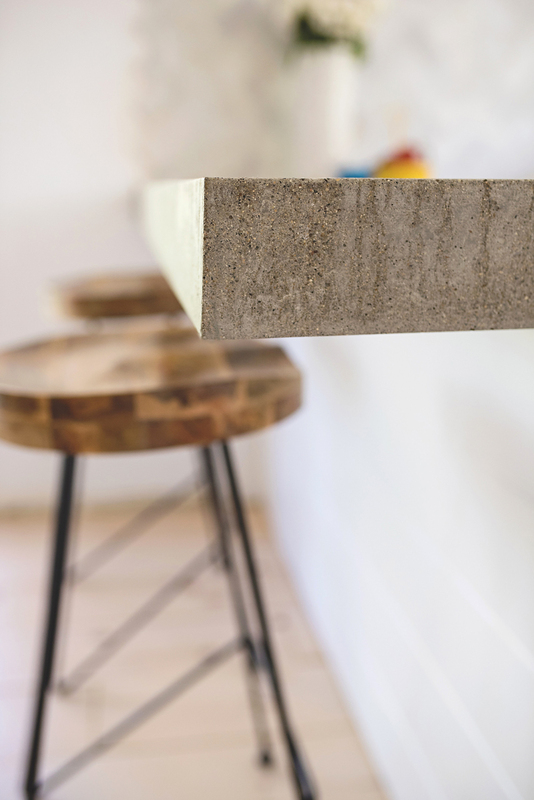 The thick concrete countertop slab has a rustic and natural look to it, which I love in our space. 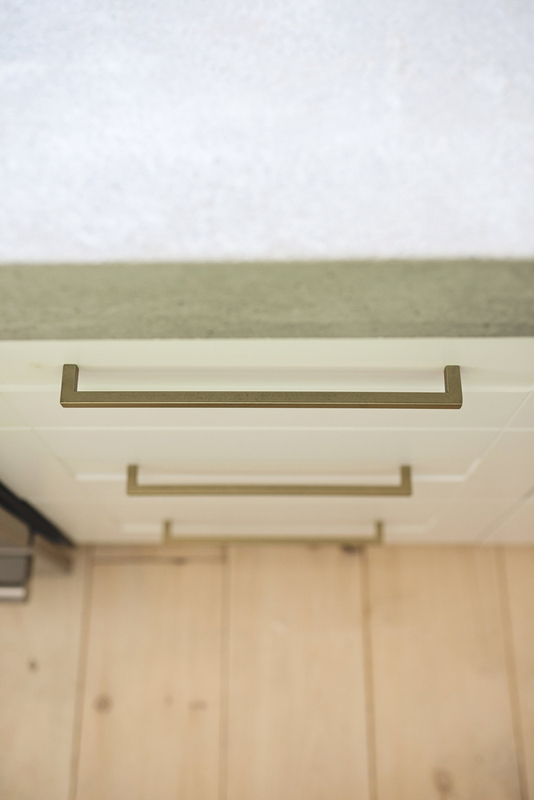 Against the white cabinets, brass elements and marbled backsplash I knew I wanted something to offset those features and the grey look of our concrete is such a fun solution. We ordered the Liqui-Crete system which comes with everything you need for the countertops (minus the tools, concrete board, and the actual concrete). The fact that beauties like these can be created with concrete countertop forms for under a grand is astonishing to me and so much cheaper than any other option we were considering. Since I knew I wanted a thick slab of concrete without any frilly details we went with the commercial bar concrete countertop form which I’d choose again in a second. 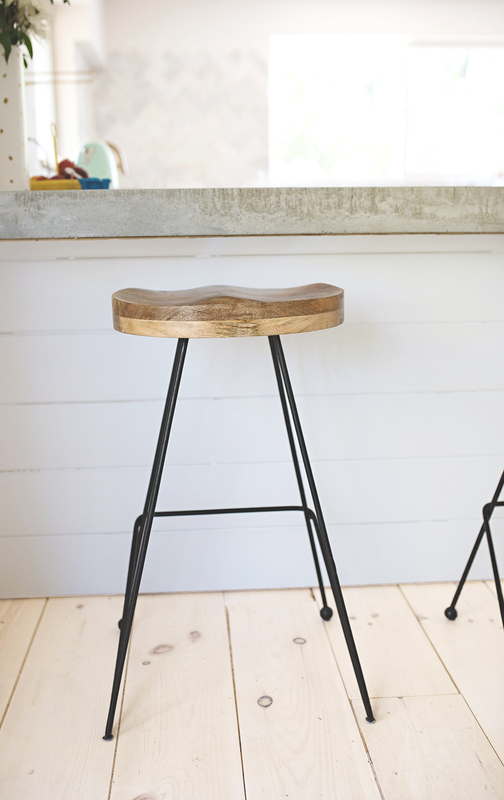 The 4 inch thick slab look is something everyone notices and loves in our kitchen. The preparation work for the concrete countertops was by far the biggest job. Before doing every step Matt watched this video about 80 times just to make sure we were doing everything correctly. We also ended up having a contractor we know come over to help us with a few of the how to make concrete countertops sticking points. Most of the project we could have done ourselves, but having someone on hand in case you need a little extra expertise can be helpful. For instance, our farm sink isn’t an exact square so he helped us build a custom concrete countertop form that curved corners so we’d end up with an exact fit and our faucet was smaller then the knock out the company sells so we used a PVC pipe to create that hole instead. We started by building up our base Ikea cabinet top. This was necessary for us because the bar top countertop forms have an overhang on them and we have frameless cabinets. So we inserted wood above each of the cabinets, then we placed the concrete backer board on top of the wood and secured everything with screws. Next I covered everything in our kitchen in plastic – we didn’t have much in place at this time besides the cabinet bases and floors, but just to be safe, everything got covered! We also covered the deck where the guys would be mixing the concrete and the space they’d walk to and from. Next we set the concrete countertop forms in place. The forms are really pretty amazing! They screw right into the backer board. We followed the video instructions to a T and used the clips and two layers of the mesh for our molds. All corners got taped to ensure everything stayed tight. 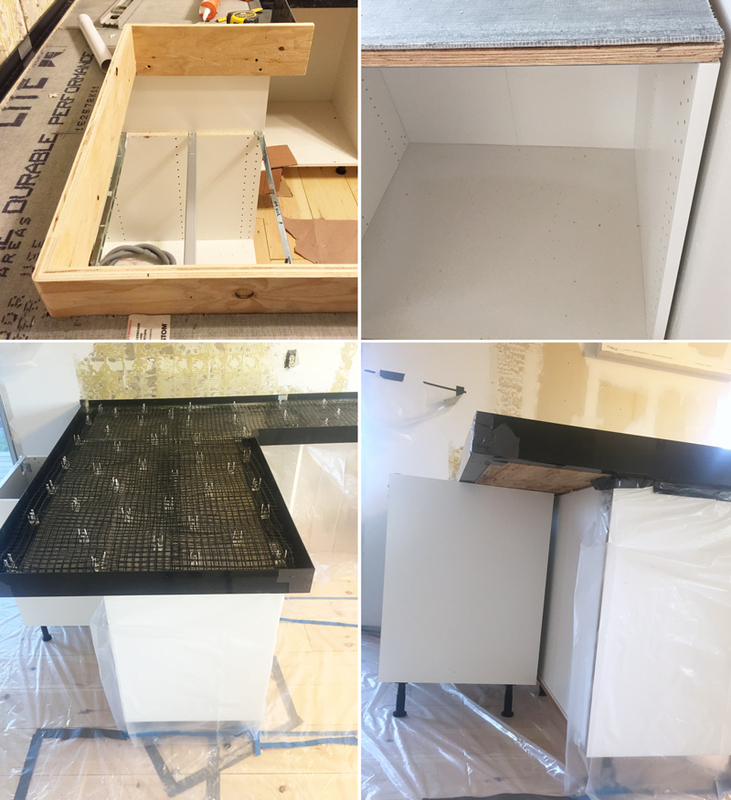 To create the floating bar we used an extra cabinet to rest underneath the off hang which held everything nicely as the concrete was wet – once it dried we just scooted this out – you could use anything for holding it up, we just happened to have an extra cabinet on hand. The concrete overhang is a fun spot for sitting and snacking with the kids. Once all the prep work was finished, the next step in making our DIY concrete Countertops was to mix and pour the concrete. Everything I read online said you should have 4 grown men for this job, which we did – and definitely needed every one of them! We had one guy pouring the ingredients, one mixing, one carrying the buckets in and helping to pour them into the frame and one guy on trowel duty as the concrete was poured. Pouring the concrete went quick (they had the entire thing done in about an hour), although it was a very intense hour. Then we just had to sit back and wait. Once the concrete dried, in about 24 hours we snapped off the forms! This part was so scary, but also the easiest. The sides of the forms literally just snap right off! The edges of our countertops look amazing, they have the marbled look of stone and are 4 inches thick. I adore them. After everything was cleaned up we let the concrete cure, sanded it about 5 different times, and then sealed it with this. We researched everywhere what the best concrete countertop sealer was and this one had the highest ratings around. So far these countertops seem pretty indestructible. 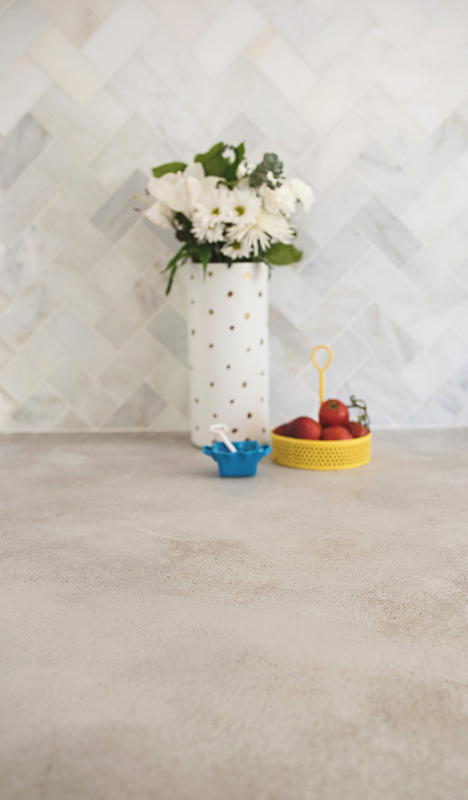 The concrete countertop sealer keeps stains away and makes the DIY concrete countertops super easy to clean. Plus with the rustic look of natural stone, the countertops don’t need to be cleaned to perfection to look their best – which is exactly what I need! The countertops add so much to our kitchen space and I love the fact that we were able to accomplish this project and pour them ourselves. 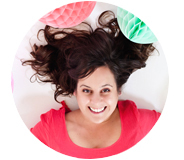 The rest of the kitchen reveal is coming soon! Concrete supplies generously sent to us for review by the team over at Concrete Countertop Solutions. These are gorgeous! Love that extra thick chunky surface. 2 questions – can you share link to video that you used? Also, not that some time has gone by, how are they holding up? I have heard from some people that if not waxed or sealed properly, staining can be a problem. Any tips on staining / waxing? Robin, That’s a great question. We do have to keep up on sealing them. They are like marble that way, so I’d consider it first. We have to seal ours every 6 months – but it honestly takes about 15 minutes. Not that big of a deal. If you don’t keep up with the sealing, then yes staining can become an issue for sure. Also, if you head over to the concrete countertop solutions site you can find the full installation video series there. Hope that helps! Yes, it is true concrete contertops are the best choices for your kitchen as concrete is one of the most durable of all building materials. And in your article you mentioned that you ordered Liqui-Create system and there you explained that it is mush cheaper than other option and it is definitely true. 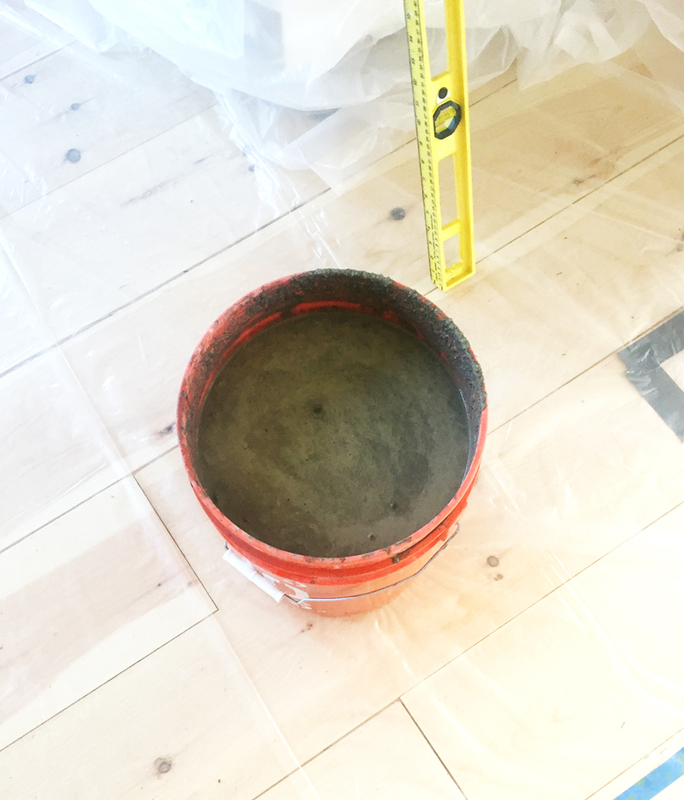 After searching from other sources I found that the Liqui-Crete system that gurantees easiest way to pour beautiful concrete countertops and if you add this point then I think it is better. Apart from that you really did a great job. Love the countertops! My wife and I are weighing out the options now for our remodel planned this spring. Still deciding on concrete or quartz. Question for you…one of our biggest concerns is the potential maintenance of concrete. The sealing, etc. Have you found this to be an issue? What about staining? Any issues with that? Just a few of our concerns. I absolutely love the way they look though. Just saw your reply from January. ;) Thanks!